Photo by Jake Stangel, provided by Ford GoBike. The East Bay’s largest bikeshare program is giving residents some help riding uphill — and pushing them toward a more sustainable commute in the process. Ford GoBike will introduce electric bikes to their East Bay fleet on Friday, kicking off service by inviting residents on an inaugural ride with several East Bay officials. 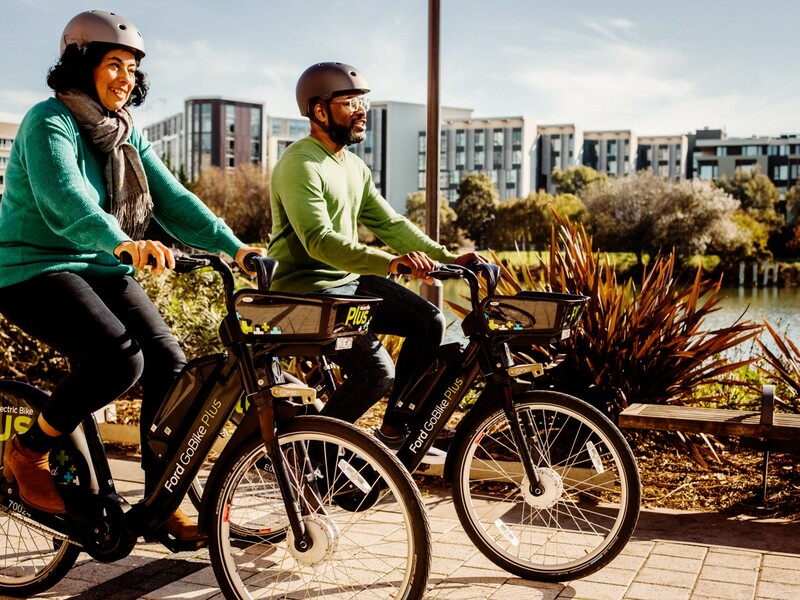 The company will disperse more than 500 e-bikes to their East Bay docks, a move East Bay officials hope will encourage more people to bike rather than drive. Berkeley Mayor Jesse Arreguin sees the e-bikes as an opportunity to move closer to Berkeley’s transportation and environmental objectives. “This will help us realize our Berkeley Bike Plan goals to create a low stress biking network, and improve livability and reduce congestion,” Arreguin said in a press release. The motorized bikes make pedaling easier when traveling uphill and over long distances, enabling the bikeshare system to be more accessible to folks with long or strenuous commutes and people who may need a bit more help covering ground. 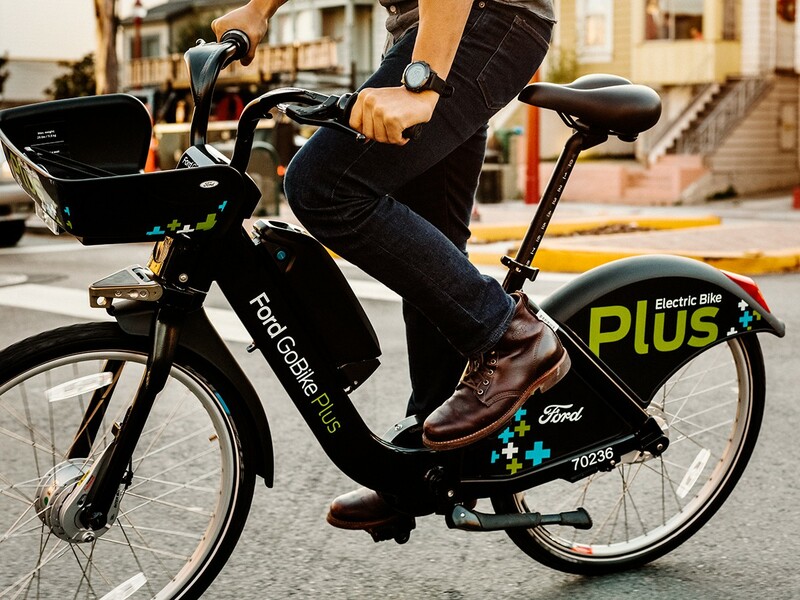 E-bikes will be available in all Ford GoBike docks, which are located throughout Berkeley, Emeryville, and Oakland, and can be easily located through the company’s app. The e-bikes will be marked in the app with a lightning bolt so riders can find them. Ford GoBike has 127 docks in the East Bay. The program offers annual and monthly passes in addition to single-use access through an app and standard Clipper cards. It also offers discounted memberships to low-income residents, which can cost as little as $5 for an annual membership, and can be paid for in cash if needed. GoBike is one of the largest bikeshare systems in the country, renting out thousands of bikes from hundreds of docking stations. The company has generated over two million rides in its first 18 months of operation. Friday’s kickoff event will feature speakers, a demonstration of the e-bikes, and a group ride. The event will take place at the Ford GoBike station located at the corner of 23rd Street and Telegraph Avenue in Oakland at 10 am Friday, and the public is encouraged to participate. The release of the bikes, along with city efforts to expand bike lanes, will make biking the East Bay much easier, said Ginger Jui, executive director of Bike East Bay, in a press release. “I predict a lot of people will be surprised and delighted to discover how easy and convenient it is to ride in our cities,” Jui said.